Our kids BJJ classes show children how Brazilian Jiu-jitsu (BJJ) is a fun, active way to keep fit, keep safe, make friends and build confidence. They involve games and activities that will help kids develop the basic skills behind BJJ. Skills will include throwing, break-falling, grappling, and submissions. Developing these skills can help their fitness, co-ordination, flexibility, and use of strategy. To start with it’s is not necessary for kids to wear a Gi (traditional jacket & trousers with belt) as techniques can be taught without. However, after a few lessons, once they start to learn more about what BJJ has to offer, students will require a Gi, which can be ordered through the club. Like many martial arts, progress in BJJ is recognised by coloured belts and stripes. Kids will be regularly graded but there are no extra charges for the gradings or awards. As well as being a martial art and self-defence there is also a strong sporting element. In the UK the sport of BJJ is growing with an increase in tournaments, which for those who are competitive is good. However, we recognise that competition is not for everyone and it is not forced on anyone. 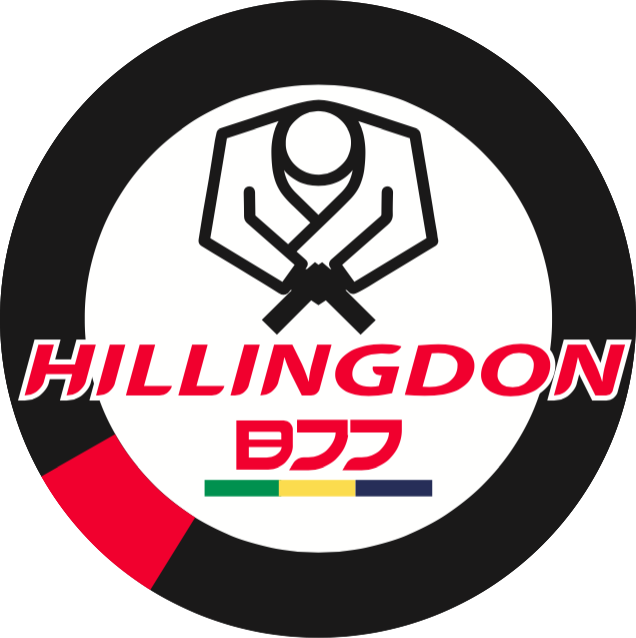 All are welcome at Hillingdon BJJ regardless.